Grooming is an essential part of every human’s animals life. But there’s something that men have and women don’t…It’s a beard. The beard defines the look of a man. Some men have more of a knack than others at keeping your beard tidy- devices such s trimmers help narrow the gap. A beard requires work and patience and some people just don’t have what is needed to well groom their beard and pull off any style they want. Are you one of those men? If yes, then you don’t need to worry anymore. 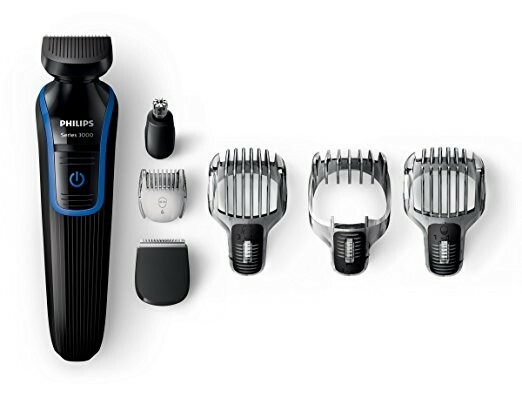 This review shall hopefully help you with the task by throwing some valuable information about the most important tool in any man’s arsenal of beard grooming– The Trimmer!!! It is a perfect tool to well groom your beard and try out various styles with the help of the Eight Attachments which comes bundled with this kit. Moreover, the Eighteen built-in Length Settings will allow you to get a perfect size trim and woo the world with your ever-changing dazzling styles. Fine Chromium self-sharpening blades will last a very long time while the ergonomic combs will prevent skin irritation. This puppy is very easy to clean (just rinse it under the tap) and can trim for straight 60 minutes after a 10 hour charge. Finally, I would like to say that this is a terrific and one stop solution to all your grooming needs. The cons seem to be a bit significant but as far as I know, this isn’t the case with every unit. Also considering the price range it’s available in, I definitely it makes a pretty good case and you should definitely go and check it out on Amazon. 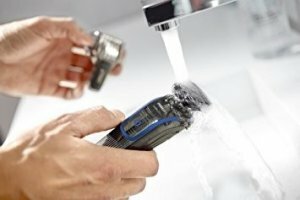 An extra point for doing a lot of jobs with the different heads, but this razor doesn't really excel at anything except keeping your beard and sideburns millimeter perfect. It's not attractive nor ugly hence the average x factor score. Considering the price though it is a decent buy. Well, this one I received as a gift from my cousin on my last birthday. Not that I required one but that didn't stop me from trying it out. Why won't I recommend: I am a man of little patience and the time this 3000 7in1 takes really annoys me. Why I still somewhat like it: The other things that come with this pack might prove to helpful for you.